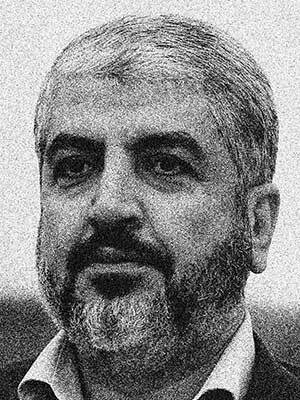 May his grave be just a taste of eternal punishment he will receive on the day God “welcomes” the tyrants of the world – The Pharaoh, Hitler, Begin, Sharon, Sadat, Sisi, Bush and Netanyahu, etc., to eternal damnation in Hell. That is when JUSTICE shall prevail. 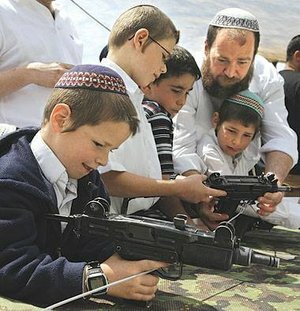 “A European tradition to accuse Jews” Cry the Jews! Outrage in Germany, Nobel Laureate Günter Grass has, once again told the truth about Israel being the greatest threat to world peace. 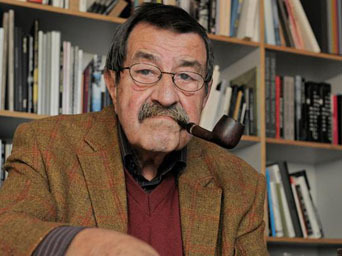 Günter Grass, Germany’s most famous living author and the 1999 recipient of the Nobel Prize in Literature, sparked outrage in Germany on Wednesday with the publication of a poem, “What must be said,” in which he sharply criticizes Israel’s offensive approach towards Iran. Once again, it is the artist rather than the politician, who tells the truth as it is. Once again it is the Artist rather than the academic who speaks out. “Why did I wait until now at this advanced age and with the last bit of ink to say: The nuclear power Israel is endangering a world peace that is already fragile?” Wrote Grass. “What must be said is that it is a European tradition to accuse the Jews before the Passover festival of ritual murder,” the statements reads. Pretty outrageous, don’t you think? 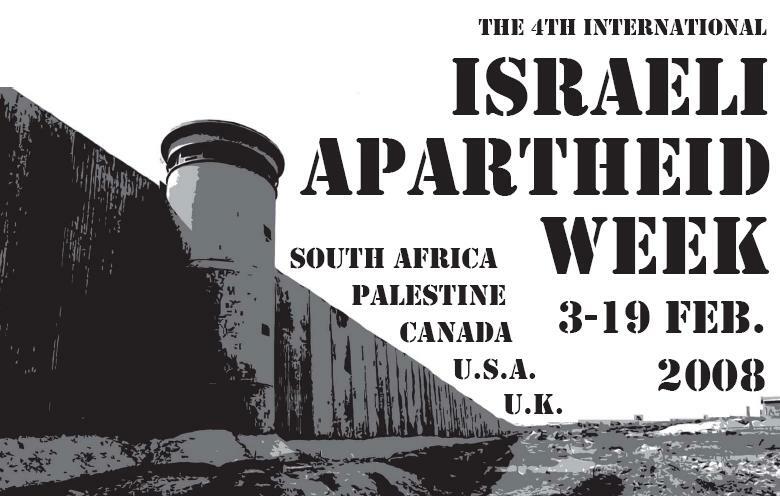 In the open Israel together with its supportive Jewish lobbies (AIPAC, AJC) are pushing for a new global conflict. Yet, shamelessly the embassy defies criticism tossing in the air the old blood libel. The appropriate timely question here is why Israel and AIPAC are pushing for a world war and a potential nuclear conflict just before Passover? 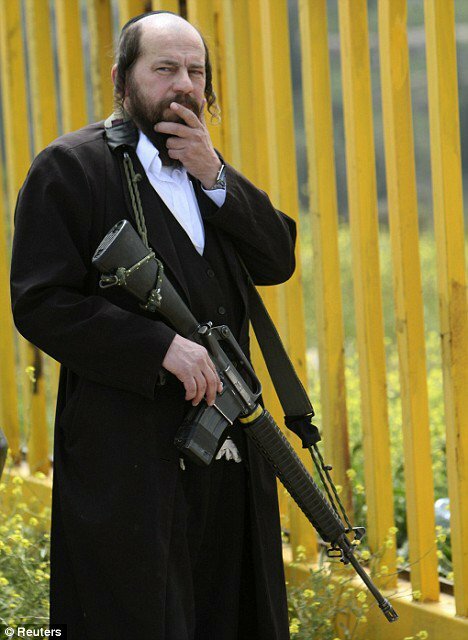 Can they just wait for another Yom Kippur (atonement day)? Isn’t it really the case? Every military expert suggests that Israeli pre-emptive attack on Iran could escalate into a nuclear conflict. If anything Grass tries like others, including your truly, to prevent Israel from celebrating its lethal symptoms once again. Correct, and so it should be. Israel is a racist, expansionist state, it doesn’t have room amongst nations. The Central Council of Jews in Germany also called the poem an “aggressive pamphlet of agitation.” I wonder, is it really aggressive to try and restrain an aggressor? The German newspaper Die Welt, which apparently obtained an advance copy of Grass’ poem, published a response by rabid Zionist Henryk Broder, the country’s most prominent Jewish writer. “Grass always had a problem with Jews, but it has never articulated it as clearly as he has in this poem.” Broder said “Grass has always had a tendency toward megalomania, but this time he is completely nuts.” I would expect Germany’s leading Jewish writer to come with something slightly more astute. 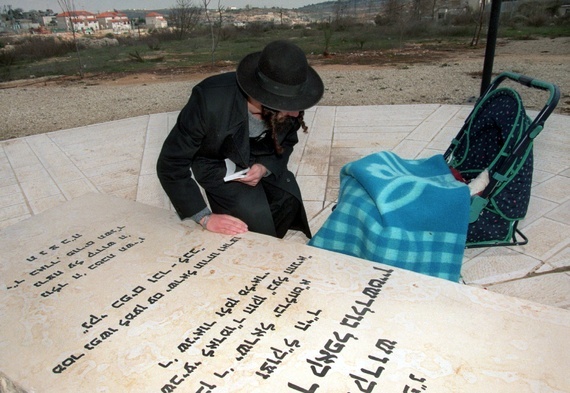 Wednesday’s poem is not the first time Grass has come out with critical views of Israel. In a 2001 interview with SPIEGEL ONLINE, he offered his own solution for the Israeli-Palestinian conflict. Broder contends that such a statement is “no less than a demand for Israel to not just cede Nablus and Hebron, but also Tel Aviv and Haifa. ” he continues, “Grass does not differentiated between the ‘occupied areas’ of 1948 and 1967.” Needless to say that from an ethical perspective Grass is correct-there is no difference between 1948 and 1967. 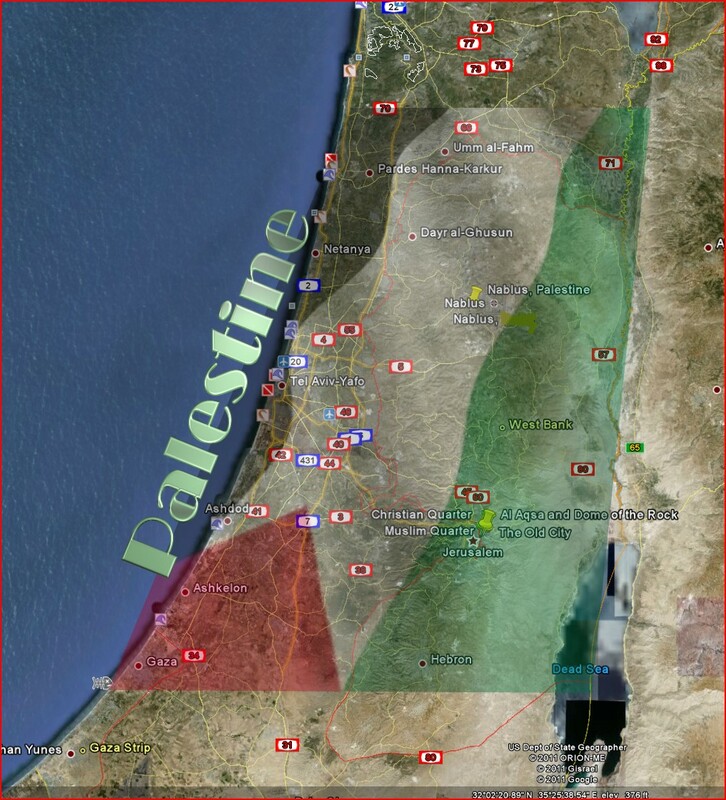 The Jewish State located itself on historic Palestine on the expense of the Palestinian people. I guess that Grass understood already in 2001 that the Jews only State must be transformed into a ‘State of its Citizens’. Israel should embrace the true notion of peace, universalism and inclusiveness. But I guess that we shouldn’t hold our breath for it is not going to happen soon. Raising Pigs in the Holy Land? Yes! A new breed of pigs is now being bred and allowed to roam freely! These pigs are the Israeli Settlers Terrorists that Israeli Terror Forces recently announced they wanted to arm and train to quell any Palestinian uprising! 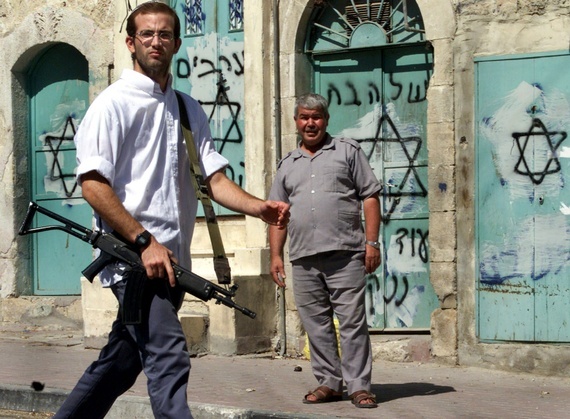 QUSRA, West Bank (Reuters) – Jewish settlers set fire to a mosque in the occupied West Bank on Monday, Palestinians said, in a likely reprisal for Israel’s dismantling of three buildings in an unauthorised settlement outpost hours earlier. Abdel Azeem Wadi, a member of the village council in Qusra near the Palestinian city of Nablus, said settlers threw burning tyres into the mosque, damaging the entire first floor. 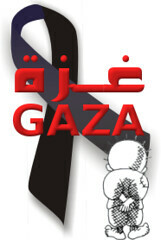 Palestinian Prime Minister Salam Fayyad denounced the attack as an act of terrorism. “These acts are what threaten to pull the region into a cycle of violence,” Fayyad’s office said in a statement, adding that the Palestinians themselves would not revert to violence. Earlier on Monday, Israeli authorities enacted a court order and demolished three houses in Migron, a Jewish hilltop outpost. The names of Migron and a second outpost were written in Hebrew on the mosque walls. Some settlers have threatened to exact a price on Palestinians in response to Israeli government actions against unauthorised settlements. Last month, the Supreme Court ruled that Israel must evacuate the entire Migron outpost by the end of March 2012, a spokeswoman for the court said. Migron is one of about 100 small outposts that settlers built without government approval on land that Israel captured in a 1967 war and which Palestinians want for a future state. The World Court deems all Israeli settlements illegal under international law — a ruling that Israel rejects. 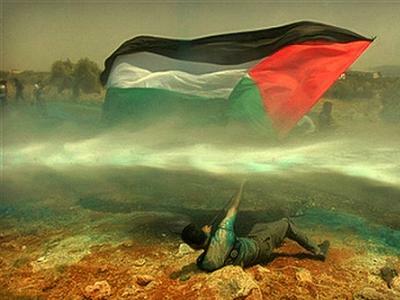 Settler-related incidents resulting in Palestinian injuries and damage to property are up more than 50 percent this year, according to the U.N. Office for the Coordination of Humanitarian Affairs, which documents violence in the Palestinian territories. 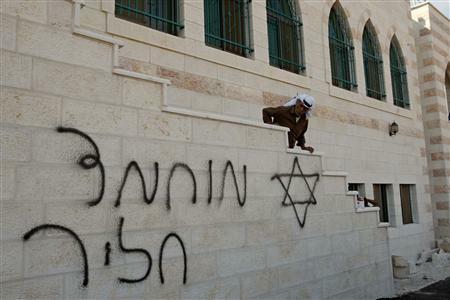 Palestinian authorities say settlers have attacked at least six mosques in the West Bank in the past two years. Fayyad’s office criticised the Israeli police for failing to track down those behind previous such violence. “The prime minister holds Israel completely responsible for the continuation of these terrorist acts because of its failure to pursue the perpetrators of this type of attack on previous occasions and bring them to account,” its statement said. Settler and military officials said last week that Israel’s military has been training Jewish settler security units to cope with any eruption of Palestinian protests alongside a planned bid for statehood at the United Nations this month.